Measure at the widest part of your dog’s neck leaving at least 2 fingers worth of space between the harness and neck. Do the same if you measure the middle of your dog, leaving at least 2 fingers worth of space between the harness and belly. Take care that you measure the girth of the middle 2″ / 5 cm behind the elbow. Our harnesses are designed for the dog on the go! Don’t let its good looks fool you – these beauties are durable, comfortable, and a breeze to clean. Our harnesses are handmade and let every pouch strut their stuff in stylish comfort. They are easy to put on and to take off and are specially designed to distribute the pressure on the dog’s body evenly, also when pulling. Our harnesses will soften with continued love and use and can be machine washed. Available in sizes xs up to xl. 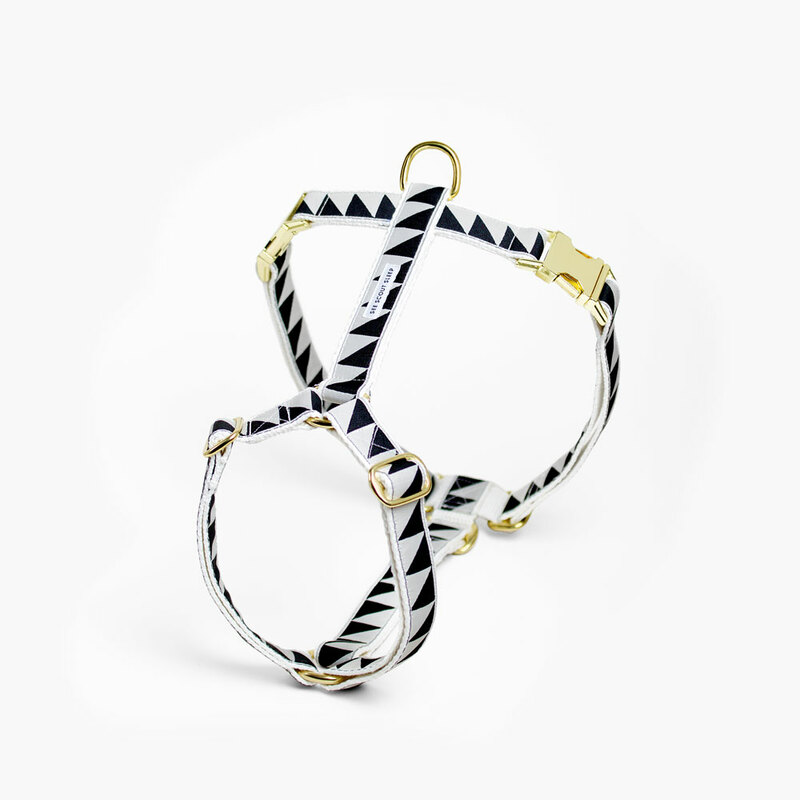 xs and s are in a 1/2"/1,3 cm width that matches well with our 1/2 inch | 1,3 cm width standard- and city-leashes. Sizes m-xl have a width of 1 inch | 2,5 cm and match with well with our 1 inch | 2,5 cm width standard- and city-leashes. Go to our size chart below, it will explain to you how to measure your dog correctly. Each of our products are made with high-end, super durable materials from the United States and Western Europe. We design and create all of our products in-house, using imagination, an eye for detail and great workmanship. 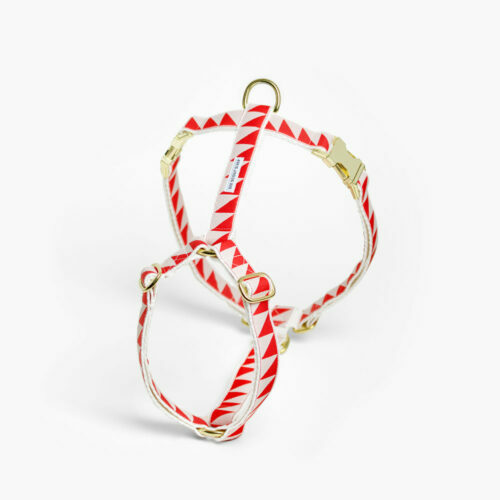 For our standard harnesses, we use hemp webbing, brass hardware, and our signature ribbons. The hemp webbing we use isn't only gorgeous and strong, it also has some extra special qualities: it’s non-allergenic, breathable, durable, and has anti-bacterial properties. It feels soft and comfortable on the skin and it holds its shape and does not stretch as other natural fibers do. And last but not least, it’s naturally resistant to mold.